branch mouth, originally uploaded by jahansell. 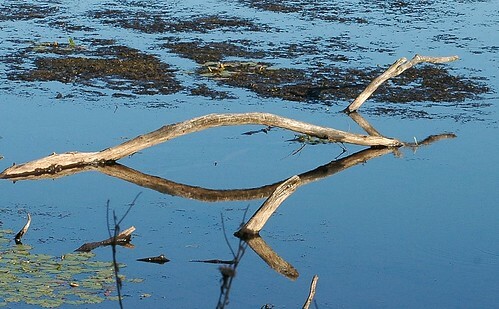 A composition of branch, water, and sky. Took me a while to figure this out and then it smacked me between the eyes. Duh. This is the first time I have "left" Western Europe blogwise, for weeks! I see the mouth...but first of all I saw a duck...definitely a duck. Great photo. this is a wonderful photo...it really causes you to look more than once. Don't want to DUCK the issue but I am with Ruth on this one. Definitely foul. Wonderfull relfexion and colors !! !